Wow what a month we all have had. I must admit, I really enjoy writing about my daughter's development and tell you all about how big she's getting, but it's also a great way to document about it all in early days so she can go and look back through these posts. So the 16 month update, well what can I say I think that the baby days are well and truly behind us. I no longer have a baby, I have a toddler who can run, jump, climb everything and even knows the basics of using an iPhone. Seriously. It's all thanks to Talking Tom Cat. It’s inevitable that she will grow up and leave the baby phase and move on to the next set of challenges as she grows older and her needs change. I am looking forward to the next stage but also nervous as time is going so fast. Well my not so little girl is weighing 22lb and is measuring 33 inches, she has increased slightly from last month. However, let's not get ahead of ourselves as compared to other children her age she is tiny. You are most definitely shorter that your cousin Lily-Grace and weigh less that your cousin Elliot but if I am honest I think that its unlikely that she'll be short like her mama. Wow, her hair is growing thick and fast and that fringe! It needs cutting that's for sure. However, until I pluck up enough courage to take her to the hairdressers we are rocking the side fringe look and she looks super adorable. Yet another growth spurt this month, as this rate she won't get to wear all those nice clothes we have just brought her. My daughter is getting pretty tall as she can reach up and remove the glass candles from our television unit, something that I will have to move. I always vowed never to removed anything out of her reach because she has to learn, but seriously this girl doesn't get it! We are now looking to buying the next size up with clothes to prepare for a growth spurt, no doubt. So this month she's being really fussy when it comes to her food. There is no way that she is letting me or my husband spoon feed her at the moment, she becoming quite the independent lady. When we are out and about for dinner however, I don't like the idea of my daughter being messy and feeding herself so I will encourage her to feed herself with finger foods like bread, crudites, chips and vegetables but when it comes to soups or pudding I like to take over. However, she will tell us if she has had enough food as she with either throw it at me or her dad, yoghurt in the face or the pooch. I do have a feeling he may be quite the chunky beagle soon though. In terms of her food like and dislikes is pretty much the same but this month I have started to give her bananas with the skin on instead of chopping them for her, not sure why I never really thought about it before though. We had to move the fruit bowl into the dining room table because can help yourself and I was finding lots of teeth marks in the apples and now I can monitor the grape intake. We still have two cups of milk a day one in the morning and one just before bedtime, other than this she usually drinks water, or fruit juice. So as I said earlier we have said goodbye to the baby day and she is well and truly becoming quite the toddler. It's been quite the learning curve this month as she seems to be really happy and cuddly one minute and then she becomes a really grumpy toddler the next. Bath time is still her favourite part of the day and she even tries to climb in and out of the bath, cheeky lady. While in the bath you always ask to have your toothbrush to have a good ole brush, which can only be a good thing. I am also finding myself becoming one of those shouty mums this month, I really hate telling her no and constantly finding myself pulling her away. Some days it actually upsets me, and it feels completely draining too as I don't want her to think all I do is tell her off. Perhaps I will be less shouty next month. Eurghh the fake cry! This has been step up a notch or five this month but it's pretty tiresome by the time 5 o clock rolls by, but I do fall for it every time. Let's hope that I get better at seeing through the falseness. My daughter is still a little clingy at times where I find myself assuring you that I will return when I leave the room for the toilet or make a cup of tea. But she really isn't keen on other people and crowds at the moment, which is quite upsetting to see. Towards the end of month my daughter wasn't very well, poor little lady and this has effected everyone's sleep. So you could say that we were a very grumpy household. One night I went into her room as she seemed to be really struggling with her cough and she thanked me by vomiting all in my newly washed hair and pyjamas, so we both went downstairs to watch the television. Naps are becoming few and far between, if I am honest I really wish they were more regular because she can be a really grumpy sod in the danger hours between 4pm and 6pm! 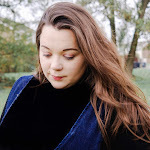 But if you do managed to go for a nap around 9am and 10am I will take full advantage and get all the chores and even a little bit of blogging ticked off the to do list. But most days, I will have a little 'helper'. Yep, this month she has developed a love for books and every night without fail she will sit on my knee and turn the pages while we read together. Whenever we get the opportunity we always like to buy her some new book to add to her ever growing collection. Small children love to help and my daughter is no exception. Recently she has become quite the little helper and she will watch and follow me as I do the cleaning, creating mischief on the way of course. I think its great that she is always willing to help and I want to build on that by making it a FUN and fulfilling experience for her. Furthermore by 'starting her young' will help her become more independent as she takes on a few responsibilities. However, when she does get distracted she likes to follow the vacuum around and switch the button on and off, quite frustration when you have lots of rooms to clean. We have had a few dislikes this month, especially with some foods. You still won't touch meat, mashed potato or melted cheese, however wiggly worm pasta and vegetables are still firm favourites. One thing that she have been pretty vocal about this month is the fact that she no longer likes her highchair and as soon as she's finished her last mouthful of food, she wants to get out. Whether that's a fake cry or a full blown temper tantrum, I think it's time we got you a one for the dining room chairs so we can all start eating together for meals. This month she has loves to run fast, and to climb everything. Whether it's the sofa, television unit or trying to get out of the bath. Some days is pretty full on with as she is into everything and gets everywhere. The living blinds are a new obsession, she seems to love the noise they make and she thinks it's a good place to hide. As she has become quite the climber this month, the stair has been something that has taken her interest and with a little encouragement form the grandparent she like to come down the stairs on her front. My daughter is saying so many new words but I am actually beginning to understand what she is trying to communicate. I will ask her question like 'Where is Daddy?' and she knows that he will walk into the house at certain times and go to the back door. Even things like asking for a drink are becoming really clear, I really thinking going to Rhyme Time sessions at the community centre is really helping with her communication and we have the best time together. We are still in the process of introducing the potty and using key words so she can begin to associate these words with the potty. It is rather sweet to see her get so excited when she claps her potty behaviour and we FINALLY did a wee!!!! Only a parent will understand why we get so excited when they do their first wee. I am confident that she will be well on her way to being potty trained very soon, it's a long road ahead but we we totally smash potty training. Catch my Daughter's previous updates? 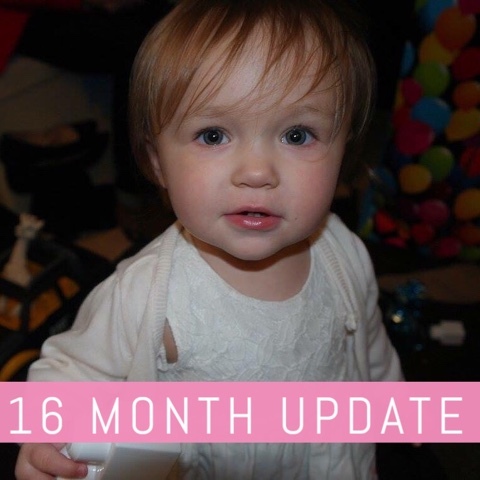 7 comments on "Amelia's 16 Month Update"